For nearly five decades Philadelphia’s smoothest soul group The Stylistics have been entertaining thousands around the world with their music and showmanship, becoming well-known for their beautiful ballads and well-respected for their polished performances on stage. The group was the result of a merger of two local Philly groups: The Monarchs and The Percussions with Russell Thompkins Jr., James Smith, James Dunn, Herb Murrell and Airrion Love forming the original line-up of The Stylistics. In 1970 they recorded their first major single release entitled ‘You’re A Big Girl Now’, and buoyed by their newfound success the group were signed to Avco Records and were paired with Thom Bell, who, along with Kenny Gamble and Leon Huff, came to create the ‘Philly Soul’ sound. Given full creative control, Bell wrote some beautiful songs for The Stylistics, many of which focused on Thompkins’ incredible falsetto vocals best suited to ballads. The group quickly had hits with songs such as ‘Betcha By Golly Wow’, ‘I’m Stone In Love With You’, ‘You Are Everything’, and ‘You Make Me Feel Brand New’. Bell decided to stop working with the group in 1974 and the group largely failed to achieve much commercial success again in the United Stated. In the United Kingdom however, the group continued to chart, with songs such as ‘Na Na Is The Saddest Word’, ‘Funky Weekend’, and ‘Sing Baby Sing’ all becoming fast favourites. In 1980 the group went under the first of their personnel changes, with Dunn and Smith departing, and a singer called Raymond Johnson coming in bringing The Stylistics to a four-man unit. This line-up only lasted five years, with Murrell, Thompkins and Love performing as a trio until 2000 when Thompkins left the group after intense disagreement with Love and Murrell, and recently claimed that the decision was ‘like a miracle’. Today, after attempting a solo career, Thompkins performs as ‘The New Stylistics’. Undeterred by this acrimony, close friends Love and Murrell brought in talented singer and guitarist Eban Brown to sing lead, and Van Fields in to round out the harmonies. Fields left in 2011 and was replaced with Jason Sharpe, a former singer with the funk outfit Heatwave. They recorded a new album entitled That Same Way that same year, and have remained on tour almost constantly ever since. This Autumn the group return for a twenty-three-date tour of the UK and Ireland. What is most impressive about The Stylistics is their dedication to their music and their performances: despite having no recent hits, every date on their annual UK tours are sold out, a true testament to their legacy and performance. Having seen the group in 2011 and in 2013, The Stylistics UK fans are once again in for a real soulful treat. 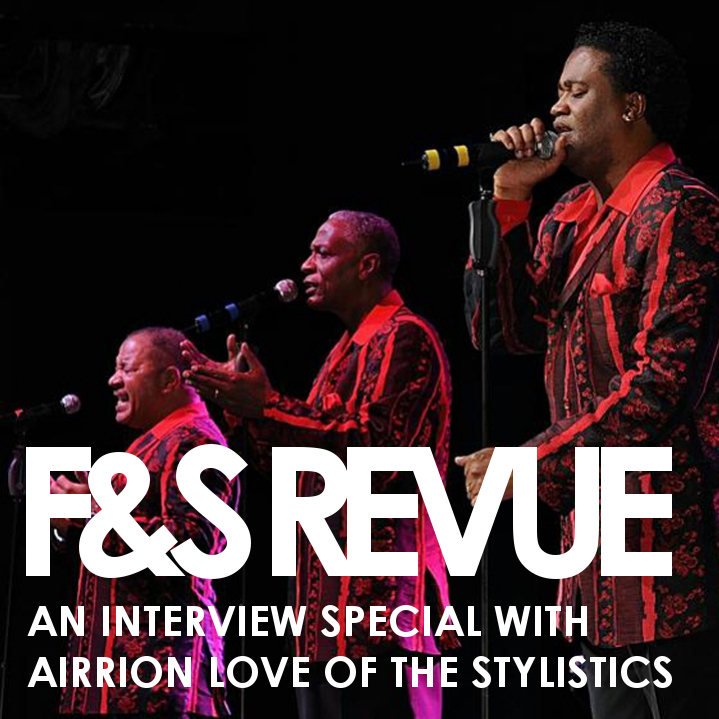 In anticipation of their latest UK tour we spoke to original founding member Airrion Love about his career, the music of The Stylistics and much more. Take a listen on Mixcloud below! Thank you for the interesting post. But please add the name of Linda Creed to the story, as she wrote most of the lyrics to Tom Bell’s hit songs for the Stylistics.